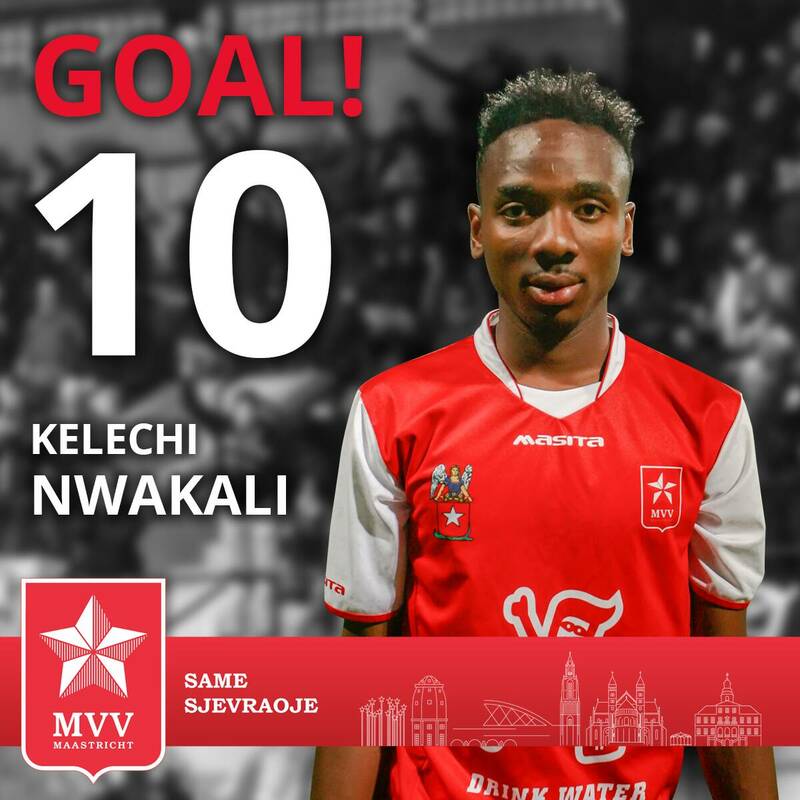 Nigeria U20 international Kelechi Nwakali scored his first Eerste Divisie goal for MVV Maastricht as the Sterrendragers beat Graafschap 2-0 on Friday. Ron Elsen’s side led their visitors 1-0 through Thomas Verheijdt’s 31st minute penalty- and when the assistant referee indicated three minutes of added time, it looked like the match was going to finish that way- but Nwakali added the second, finishing off a counter in the fourth minute of stoppage time. The youngster, who is on loan at the Dutch second-tier club from London giants Arsenal, has overcome his early-season struggles to become a regular. Maastricht occupy third spot third in the table, trailing leaders VVV Venlo by two points.